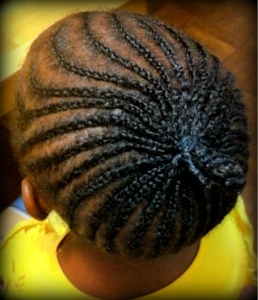 As mentioned in this post, her hair was stretched using the African Threading method. 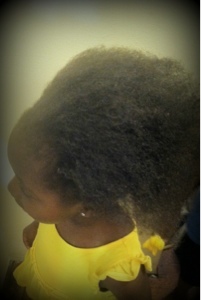 I divided her hair into four sections, ear to ear and front to back. 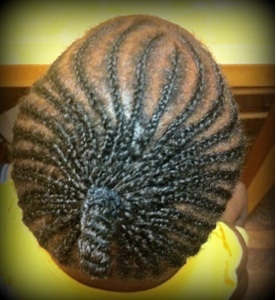 Small sections were parted out from each quadrant and moisturized before being cornrowed up towards the crown. The ends of all the cornrows were threaded and twirled around to stay in place. 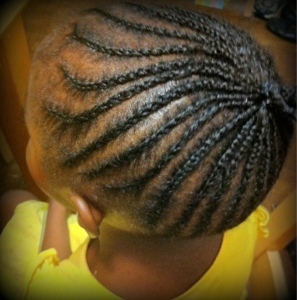 I love these cornrows! So pretty. May I ask wut kind'a of product did u use ta make ha hair shine like that? ?,thk u yah bless!